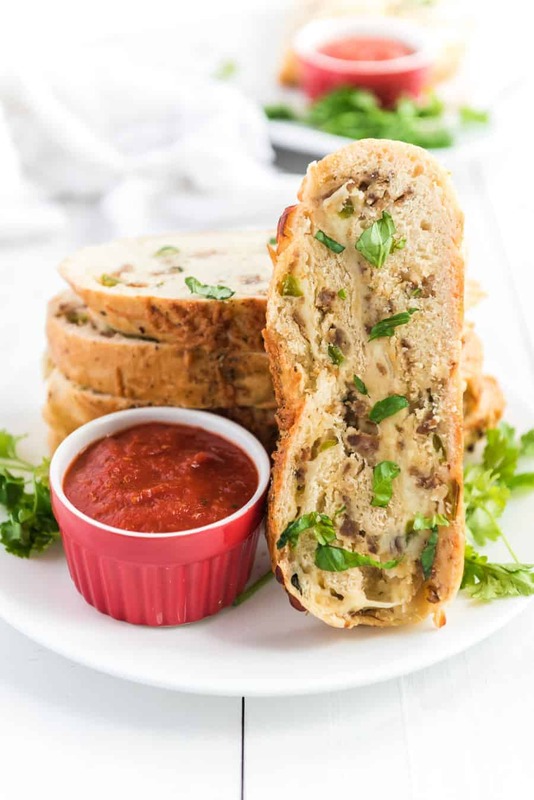 Cheesy Sausage and Pepper Stromboli | Easy Pizza Dough Dinner Idea! 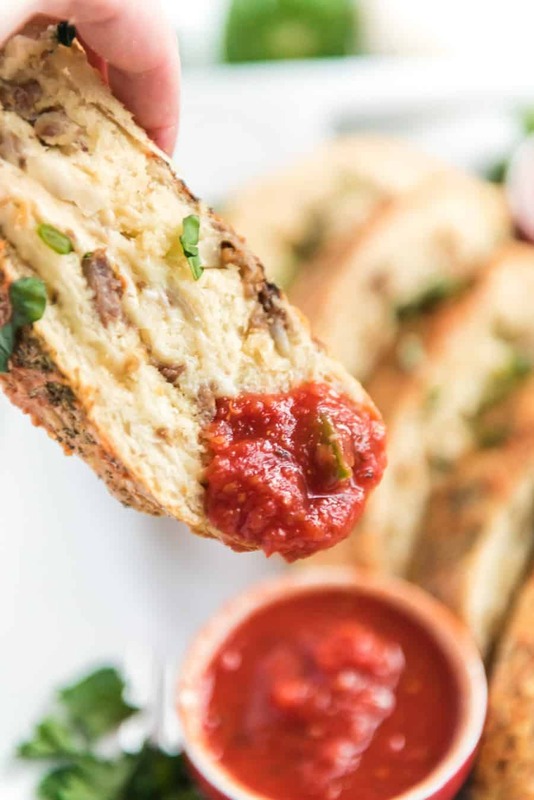 Cheesy Sausage and Pepper Stromboli made with homemade pizza crust, lots of sausage and cheese, and all rolled up into dippable pizza-like slices the whole family will love. 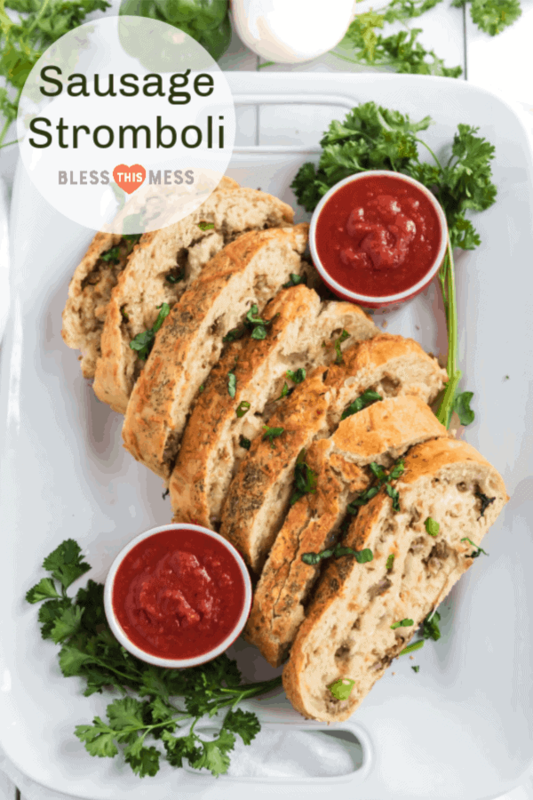 Stromboli is one of those fun dishes that you can serve on pizza night that is just different enough from the usual that it’ll keep your dinner rotation interesting. I often forget how much I love it until I make it. Stromboli is pizza dough all rolled out, topped with all the pizza goodies (in this case sausage, cheese, bell pepper, and onions) minus the sauce, and then all rolled up and sealed into one big log. Then you bake it, slice it, and dip it in your favorite marinara. Think of it as pizza sticks or pizza cinnamon rolls. You can make this a 100% whole wheat crust and it’ll be delicious. I love this 100% Whole Wheat Pizza Crust recipe. This has a lot of potential for customization. Love mushrooms? Add a few! Adjust the cheese and seasoning to your taste, too. No time to make homemade crust? 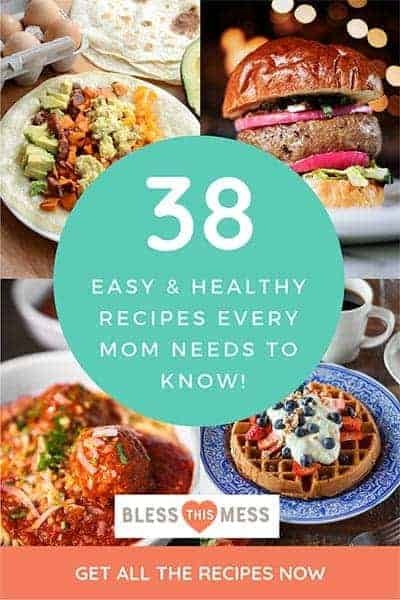 This recipe still works well wth pre-made pizza crust from the grocery store or from your local pizza shop – some of them sell pizza dough by the pound. What’s the difference between stromboli and a calzone? A calzone is really similar, but the difference comes in the way it’s all put together. 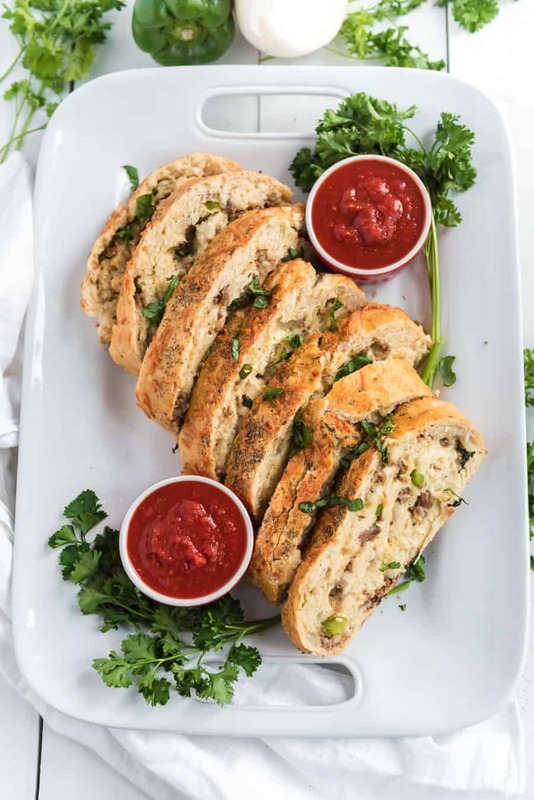 A calzone has all of the ingredients inside of a dough pocket, and a stromboli has all that goodness rolled up like a cinnamon roll. Same idea, different execution. How do you keep a stromboli from getting soggy? 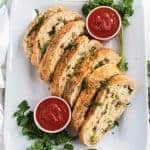 Make sure that you leave that 1 inch strip of dough without topping on it and then seal the edge very well after you roll up the stromboli, so that none of the filling leaks out. If you keep all that filling inside, it’ll keep the bottom of the stromboli from getting soggy. Yes! I have found that it’s best to make, bake, and slice the stromboli. Then let the leftovers cool. Store them in a single layer in an air-tight container in the freezer for 6-8 weeks. Let them thaw in the fridge and reheat as needed. How do you reheat stromboli? I like to reheat it on the oven instead of the microwave so that things don’t get soggy. 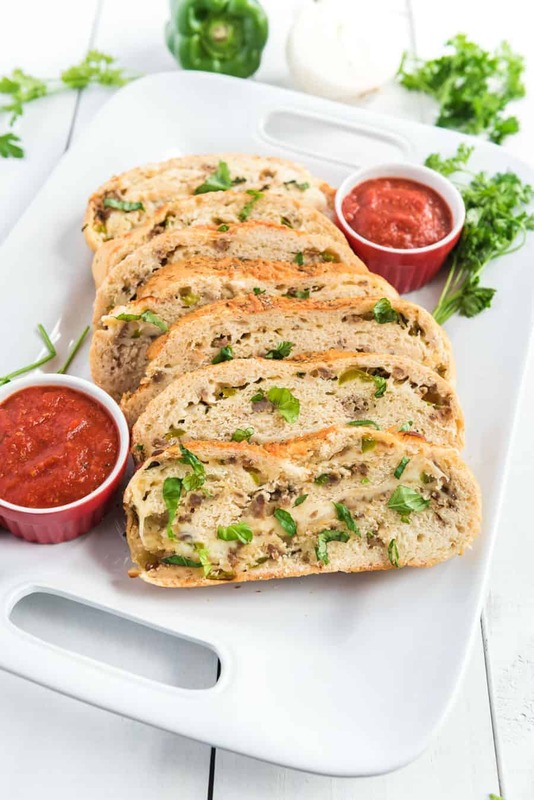 Just place the stromboli slices in a single later and bake at 375 degrees F. for about 10 minutes until the filling is heated through. Make the dough and let it rise for an hour or so, so that it can get nice and soft. While the dough is rising, cook the sausage in a large skillet over medium-high heat until it is cooked though. Drain off extra grease. Leave the cooked sausage in the pan and return the pan to the heat. Add the onion and bell pepper to the pan and cook until the veggies are soft and the excess moisture is cooked off. Remove from the heat and stir in the basil and parsley. Preheat the oven to 400 degrees. After the dough has risen for an hour, roll it out on a lightly floured surface until it is between 1/4 and 1/2 inch thick. My dough rectangle was big, about 14 inches wide by 11 inches tall. Sprinkle the sausage mixture and then cheeses over the dough evenly leaving about an inch and a half of dough showing at the top and bottom (for rolling purposes). Starting at the bottom (where a bit of dough is showing) roll the dough, jelly-roll style (or like a cinnamon roll). Lay the giant Stromboli log on a baking sheet lined with parchment paper, with the seam down, and let it rest for 10 minutes. Beat the egg well and brush the beaten egg over the top of the dough if you’d like the dough to cook up extra brown and pretty. Skip if you don’t care. You can add a little extra Parmesan and Italian seasoning over the top, too, if you like. Bake in the hot oven for one hour. Let the Stromboli rest for 10 minutes before slicing with a serrated knife. This makes a lot of food, but it also reheats really well. I love leftovers! You can make this a 100% whole wheat crust and it’ll be delicious. 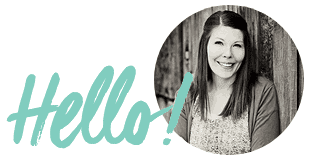 Enjoy this fun dinner from my kitchen to yours. How much does it make? I’m in a meal swap with 2 other families (both families of 6). Wondering if I should double or triple the recipe ? I need to cook for 24. Choo choo!! Good luck on your crazy train!! The end product is really like 14-16 inches long, which is big! It was easy to get 12-14 slices just a little over an inch thick out of it, so I put it serves 6-8 adults because most would eat 2 pieces (where kids would eat one probably). If you are serving it with a salad and fruit I would just make 2 and split them between the families. If you are just serving this I would do a Stromboli per family. Does that help? Let me know how it turns out!